Your flight arrives in Lima late in the evening. You will transfer to a delightful guest house near the center of Lima. Many visitors to Lima are merely on their way to other places in Peru. We will take advantage of our layover to see what distinguishes the city, its colonial old quarter-once the finest in the Americas- and some of the finest museums in Peru, all of which serve as magnificent introductions to Peruvian history and culture. After your city tour we will enjoy lunch, then depart by air for Cusco. Upon arrival we'll transfer to our hotel. 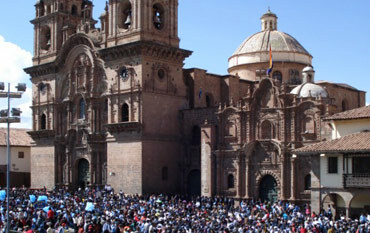 Cusco, the storied capital of the Inca Empire and gateway to the imperial city of Machu Picchu. After breakfast you will have free time to begin adjusting to the elevation, 11,000 feet above sea level. After lunch, we will tour this special city, stately and historic, with stone streets and building foundations laid by the Incas more than five centuries ago. The town is much more than a mere history lesson; it is also surprisingly dynamic, enlivened by throngs of travelers who have transformed the Plaza de Armas into a mecca of sorts for South American adventurers. Cusco's highlights include both Inca ruins- such as Sacsayhuaman, a seemingly impregnable fortress on a hill overlooking the city, and Qoricancha, the Temple of the Sun- and colonial-era Baroque and Renaissance churches and mansions. We overnight in Cusco. After a hearty breakfast we board transport to begin our journey into the Sacred Valley. The Urubamba Valley, better known as El Valle Sagrado de los Incas (the Sacred Valley of the Incas), is a relaxed and incomparably beautiful stretch of small villages and ancient ruins spread across broad plains and rugged slopes northwest of Cusco. Along with Cusco and Machu Picchu, the Sacred Valley is one of the highlights of Peru. 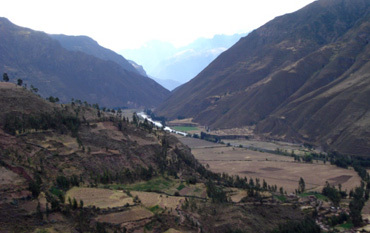 The villages of the Sacred Valley remain starkly traditional. Quechua - speaking farmers work the fields with primitive tools and harvest salt with methods unchanged since the days of the Incas. Market days remain important rituals. Today we tour Pisac and its impressive Inca ruins. Fortunately, we are in Pisac on Sunday and are able to enjoy its hugely popular artisan market. 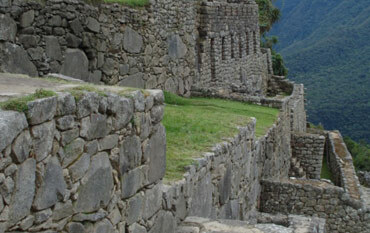 During the afternoon we will visit Pisac's splendid Inca ruins, which rival those of Machu Picchu. Perched high on a cliff is the largest fortress complex built by the Incas. The commanding distant views from atop the mountain, over a luxuriously long valley of green patchwork fields, are breathtaking. We overnight in a warm and cozy bed and breakfast. If you prefer, you can overnight with a village family in Chichero. After breakfast we depart by private transport for Cusco. You will have free time to just relax in preparation for the Inca Trail tomorrow or you can select optional horseback riding or mountain biking during the afternoon. During the evening you will attend a group briefing where you will be introduced to your Inca Trail guide, and have time to ask those last minute questions. Overnight in your Cusco hotel. After an early delicious breakfast you will board a bus for a spectacular drive through the Sacred Valley to our trailhead at km. 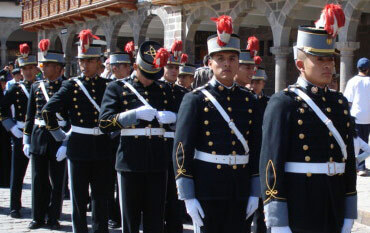 82 Piskacucho. After meeting your guide and porters you will set out, crossing a footbridge to hike a gentle two hours down the Urubamba canyon, and then visit imposing sculpted Inca farming terraces and the settlement of Llaqtapata on the banks of the Cusichaca river. We then climb a short way up the Cusichaca Valley to Huayllabamba, where we camp. We climb the steep-sided Llullucha Valley past a rushing stream and through enchanted subtropical woodland. Crossing the rim of a small plateau, we find ourselves in the puna, the treeless grasslands of the high Andes. The trail traverses an open slope opposite mighty mountain crags as we ascend to the first and highest pass, Warmiwanusca ("Dead Woman's Pass") (13,779 feet). Here we encounter spectacular views of the trail ahead to the second pass, and look back to the sweeping snowpeak, Huayanay. You can walk at your own pace, stop to get your breath whenever you like. You'll find your energy returns once you continue down to the valley of Pacaymayo and beyond to Cochapata campsite at 10,200 feet above sea level. This morning we pick up an Inca stairway and ascend again past the small Inca site of Runkaracay. As we reach the second pass, the landscape opens onto spectacular new views to the snowpeaks of the Pumasillo range. We hike to the ruins of Sayacmarca ("Inaccessible Town"), an intricate labyrinth of houses, plazas and water channels, perched precariously on a rocky spur overlooking the Aobamba Valley. The Inca Trail, now a massive buttressed structure of granite paving stone, continues along the steep upper fringes of the cloud forest, through a colorful riot of orchids, bromeliads, mosses and ferns. At the third pass, pinnacles topped with Inca viewing platforms overlook the archaeological complex of Phuyupatamarca ("Cloud-Level Town"). Pausing to explore the maze of Inca stone towers, fountains and stairways that spill down the mountainside here, we begin a long descent through ever-changing layers of cloud forest. An Inca stairway, partly cut from living granite leads us finally to our camp by the ruins of Winay Wayna ("Forever Young"), the largest and most exquisite of the Inca Trail sites. An early morning hike takes us an hour across a steep mountainside, through lush, humid cloud forests of giant ferns and broad-leafed vegetation. Suddenly we cross the stone threshold of Intipunku ("Sun Gate") and encounter an unforgettable sweep of natural beauty and human artistry- a backdrop of twisting gorge and forested peaks framing the magical city of Machu Picchu. We complete the final leg down the royal flagstone walkway, past outlying shrines and buildings and into the heart of Machu Picchu, where we spend the rest of the morning with a guided tour of the highlights and some individual exploring among Machu Picchu's multitude of hidden nooks and corners. In the early afternoon a bus takes us down to the foot of the mountain, to the small town of Aguas Calientes ("Hot Springs") where we have a special buffet lunch with our guides in the Hostel Viajeros. During the afternoon you can relax in your room or you may want to climb Huayna Picchu, the impressive peak overlooking Machu Picchu. There are hot springs a short walk from your hotel. After a delicious meal in your hotel you might want to retire early and let your mind recall all that you have seen and accomplished during the recent days. Enjoy breakfast in your hotel. The Valley Train leaves Aguas Calientes at 8:53 am and arrives at Ollantaytambo at 10:52 am. It has large high windows so you can take in the spectacular views. Ollantaytambo is a lovely little Inca town at the northwest end of the Sacred Valley. It is one of the most enjoyable places in the Sacred Valley. The scenery surrounding it is stunning. Most extraordinary are the precipitous terraced ruins of a massive temple-fortress built by the Inca Pachacutec. Below the ruins, Ollantaytambo's old town is a splendid grid of streets dating to Inca times and lined with adobe brick walls, blooming bougainvillea and perfect canals, still carrying gushing water down from the mountains. A mid-afternoon departure from Ollantaytambo enables us to arrive in Cusco for a relaxing hot shower, followed by a dinner to commemorate our last evening in Cusco. Free time in the morning for last minute shopping then transfer to the airport for your flight to Lima and the U.S. The memories you take with you are forever. Many visitors to Lima are merely on their way to other places in Peru. We will take advantage of our layover to see what distinguishes the city founded by the greatest conquistador of them all - Francisco Pizarro. 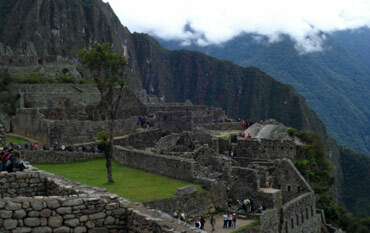 We will walk through the old colonial quarter - once the finest in the America's - and some of the finest museums in Peru. A fine way to get introduced to Peruvian history and culture. After the city tour we will enjoy lunch, then depart by air for Cusco. Upon arrival we'll transfer to our hotel. You will awake to the thin air of Cusco, the legendary capital of the Inca Empire and gateway to the imperial city of Machu Picchu. After breakfast you will have free time to relax and begin adjusting to the elevation, over 11,000, feet above sea level. After lunch we will tour this special city, "the Navel of the World", stately and historic, with stone streets and building foundations laid by the master stoneworkers of the Incas, more than five centuries ago. The town is much more than a mere history lesson, it is also surprisingly dynamic, enlivened by throngs of travelers who have transformed the Plaza de Armas into a mecca, of sorts, for South American adventurers. Cusco's highlights include both Inca ruins - such as Sacsayhuan, a seemingly impregnable fortress on a hill overlooking the city, and Qoricancha, the Temple of the Sun - and colonial-era Baroque and Renaissance churches and mansions. We overnight in Cusco. 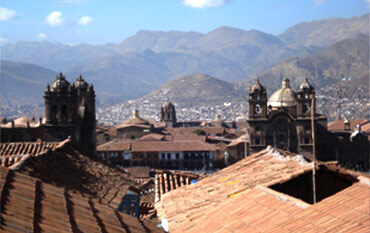 Now that you have been oriented to Cusco, you can explore its masterpieces and markets on your own this morning. After lunch we board transport to begin our journey into The Sacred Valley. The Urubamba Valley, better known as El Valle Sagrado de los Incas ("The Sacred Valley of the Incas"), is a relaxed and incomparably beautiful stretch of small villages and ancient ruins spread across broad plains and rugged slopes, northwest of Cusco. The villages of The Sacred Valley remain starkly traditional. Quechua - speaking farmers work the fields with primitive tools and harvest salt with methods unchanged since the days of the Incas. Market days remaining important rituals. On our drive to Pisac, we will stop to visit a wildlife shelter, housing the mighty condor and other Peruvian wildlife. Then on to Pisac. 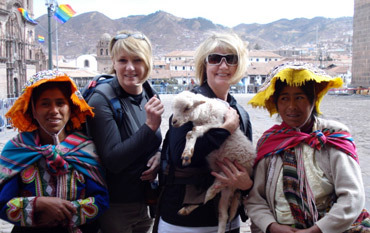 We will tour Pisac and its impressive Inca ruins and enjoy wandering through the hugely popular artisan market. Pisac's splendid Inca ruins command distant views from atop the mountain site, over a luxuriously long valley of green patchwork fields -- breathtaking. You will find restored Inca baths with running water. 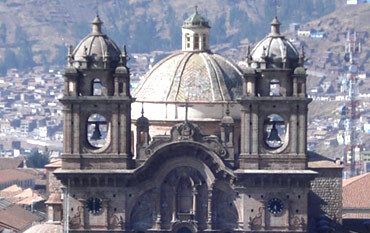 The stonework in the central, most important buildings, is as perfectly fitted and well made as any in the Inca Empire. These buildings probably housed important Inca nobles and high priests. Far below flows the Rio Urubamba River. The Inca, masters of hydrology, channeled the river through stone-walled canals, thereby increasing the area available for agriculture while also decreasing soil erosion. We overnight in Hotel Pisac near the center of town. This morning you have free time to wander through the streets and shops of Pisac. After lunch we board transport and proceed farther down The Sacred Valley. The first small town we encounter is Calca, 11 miles northwest of Pisac. Before his attempt to recapture Cusco in 1536, Manco Inca made this his temporary headquarters. As a result, the town has two main plazas, a feature of Inca, rather than Spanish colonial, town planning. Starting in Calca we take a three hour trek to the rarely visited Inca site of Hunchuy Cusco, on the south side of the Urubamba Valley. Known for its extensive terracing, Huchug Cusco features several Inca buildings, including a three-story Kallanka ("Great Hall"), as well as wonderful views of The Sacred Valley. We will overnight in a unique hostel, Las Chullpas, near Urubamba. After breakfast we travel the short distance to two of the most unique sites in all of Peru. From the small town of Maras, we motor to the fascinating site of Moray. No fortresses or temples. Three huge circular terraced pits, in use before the height of the Inca Empire. Researchers surmise ancient Peruvians used them as an agricultural laboratory to monitor optimum growing conditions for their crops. Next we visit Salineras, the valley's most unique site. There is nothing like it in Peru and perhaps the world. These are salt mines on the south side of the Rio Urubamba. You will find the sight of more than 5,000 salt pans, glistening in the high altitude sunlight, quiet mesmerizing. Today several local families continue to mine the salt pans using techniques little changed from centuries ago. After this delightful day trip we will return to Las Chullpas for rest and a delicious dinner. After breakfast we travel on up the valley to the special old Inca town of Ollantaytambo. Parts of Ollantaytambo - literally a living Inca town - remain almost unchanged despite the passage of several centuries. The scenery surrounding Ollantaytambo is stunning. Most extraordinary are the precipitous terraced ruins of a massive temple-fortress built by the Inca Pachacutec. The temple ruins, which appear both forbidding and admirably perfect, represent one of the Inca Empire's most formidable feats of architecture. In all probability, the complex was more a temple than a citadel to the Incas. After a tour of the town's highlights we overnight in a comfortable local hotel. After breakfast, we set off on a trek, hiking along the banks of the Rio Patacancha. Along the way there is beautiful scenery. We pass through tiny villages on our way to the well preserved ruins of Pumamarca. We'll complete the round trip to Ollantaytambo in about five hours, then we'll board the next train to Aguas Calientes where we will overnight at the base of Machu Picchu. 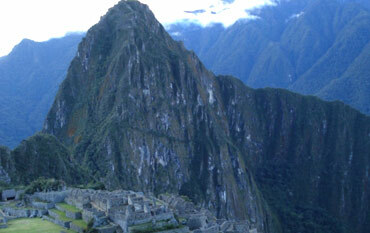 Today is the big event - Machu Picchu. The stunning site of Machu Picchu, the fabled "lost city of the Inca", is South American's greatest attraction, one that draws ever-increasing numbers of visitors from across the globe. 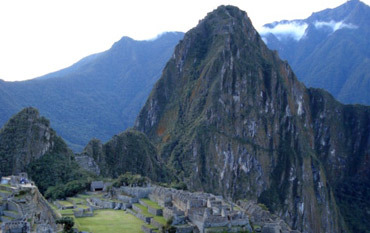 The Incas hid Machu Picchu so high in the clouds that it escaped destruction by the Spaniards, who never found it. When the early morning sun rises over the peaks and methodically illuminates the ruins' row by row of granite stones, Machu Picchu leaves visitors awe-struck. We will explore this grand site throughout the day. You might even want to climb Huayna Picchu, the impressive peak overlooking Machu Picchu. We will take a late afternoon train to Cusco and overnight in our Cusco hotel. Today we join in the celebration of Inti Raymi, the star attraction of Cusco's spectacular celebrations. Inti Raymi, the fiesta of the winter solstice (June 24, but lasting for days before and afterward). It's an eruption of Inca folk dances, exuberant costumes, and grand pageants and parades. We will observe a massive pageant that takes place at the stately Sacsayhuaman ruins overlooking the city. Inti Raymi is one of the finest expressions of local popular culture on the continent, a faithful reenactment of the traditional Inca Festival of the Sun. A fitting end to this fantastic trek. We'll enjoy a much deserved rest in our Cusco hotel tonight. Today we complete last minute shopping, then board our flight to Lima, then on to the United States. The most valuable souvenirs you take with you are the memories which will last a lifetime. The cost of these treks are available on request. Fluctuations in currency exchange rates and seasonal factors must be considered when you finalize your itinerary. In addition, your cost will vary, based on features you may choose to add or subtract from the above itinerary. Legend Treks does guarantee, however, to beat the cost charged by any other major provider, for the same itinerary. Legend Treks can include international airfare advice and/or include the airfare in the final cost package. We look forward to hearing from you. We assure you this will be a life changing adventure.